Five high school students read an adaptation of an essay written by a 14-year-old. Insights and advice from students as they think through how to respond to real life bullying situations. Watch this short video designed to provide authentic insight and perspective from peers on issues related to cyberbullying. Animated video created from student drawings and writing, brought to life with the voices of youth. Bullying knocks down thousands of kids every day, but when one person stands, another will stand with them. You can be that person, you can turn a life around. Lizzie is a country music singer/songwriter, who experienced verbal teasing and ridiculing from other children in elementary school. Her song, “Butterfly” tells her story and how she overcame her situation. When a high school student experiences bullying at her new school, she finds hope from her peers. Special thanks to kouraproductions for creating and producing this powerful video! Do you know an individual or group who took action to make our communities, schools and the web kinder, more accepting and inclusive? 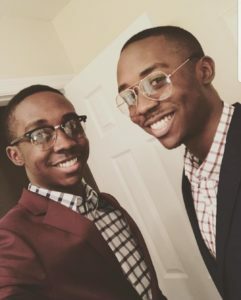 If yes, nominate them for a Unity Award! Our student panel will judge all nominations. Then, on May 23rd, we will recognize those who have made outstanding contributions to help create a world without bullying. Questions about bullying? We have answers! Students and K-12 classrooms are invited to send a video or email [email protected] with their question. Starting in January, selected entries will be featured in our weekly “PACERTalks About Bullying” video series. Send a message of hope and support! Take the pledge and make a commitment to show that we are together against bullying, and united for kindness, acceptance, and inclusion. Teens Against Bullying bookmarks, new design now available! The updated design of the Teens Against Bullying bookmark encourages middle and high school students with the message, “The End of Bullying Begins with You.” The other side features a pledge for kindness, acceptance, and inclusion. This is an animated video created from student drawings and writing that shows that kids want bullying to stop and want to be part of the solution. 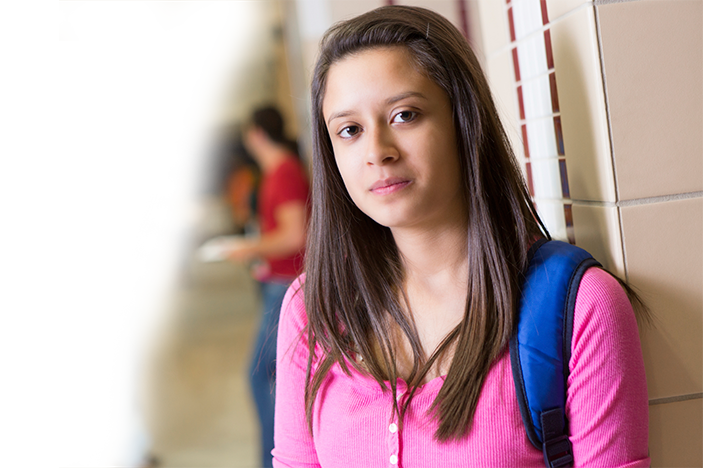 Wondering what you can do to address bullying? 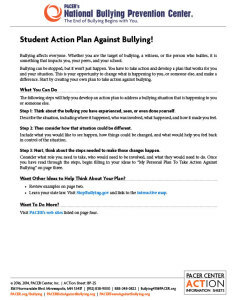 This handout will help you develop a strategy to change the bullying situation you have experienced. I care because everyone can be lity and dope everyone has their own opinions on xxxTentacion, NBA YoungBoy, and all of the other rappers. Everyone could do what they want to and some people aren't capable of doing things another can. Some people have disabilities or aren't able to do things. You don't know what people are going through. I remember when I was bullied in the seventh grade it was so bad with all of the name calling and people tripping me. She would call me stupid and ugly and that nobody likes me. The bullying was really bad so I ended up going with homeschooling now I am in the eleventh grade. I wish I just went up to the bully and confronted her but I was too scared. Now I just want to help people. We all have feelings and they get hurt sometimes too. Boys and girls is not right for one it is disrespectful, rude, hurtful, mean,where is a bunch more why it is hurtful and stuff like that. when some girls is getting bullied I will deal with it. the same with the boys. I care because i was bullied myself almost all of my life in school even now in high school there is online bullying. I don't want others to feel the pain i do everyday because of some people who are just sad and mad at themselves! I care because I know the feeling of having people mistreat you. I was diagnosed with depression at 12 years old and as I am about to turn 19, it is still something I struggle with most days. You can never take back the way you treat people. so basically, a lot of girls in my school would treat me bad and make fun of me. they would abandon me in activities and make fun of my actions. however, they keep copying what i wear and what I do. they also stare at me at a distance. there are many guys whom also bully me for no reasons at all. they would make fun of me.